After the end of the first film, Kevin Flynn is looking to create a new, more perfect world based on his experiences in the server in his battle with Sark and the MCP. Things happen and the world he sought to create becomes perverted. Years later, Flynn’s son comes into the computer seeking his father, which is where we join the story. Like the original, the story is slow and the exposition overwhelming at times, but that’s not the appeal of Tron or its sequel. The designs and special effects for Tron: Legacy are top notch. They need to be seen in IMAX 3D to really get the full experience, with the digital sound system that such a theater affords to enjoy the Daft Punk soundtrack that was written for the film. The new designs compliment and expand upon the original works of Jean Giraud and Syd Mead, taking the graphics work that were at the top for that time period and extrapolate them to the best 2010 has to offer while incorporating the original designs in scenes as nods to the first film, including Flynn’s light cycle and a cameo by the cursors that flew around with Flynn in the original film. Two of Tron’s original stars, Bruce Boxleitner and Jeff Bridges, return to reprise their roles as Tron/Alan Bradley and Clu/Kevin Flynn while being joined by many new characters, including Flynn’s son Sam and the Flynn’s disciple Quorra. The actors do their best with the material provided, with Bridges doing his best Dude, but they really shine in the action sequences. From light cycle races to the disc games to the battles, the action sequences in the computer even outmatched The Matrix, not needing to slow down the action to bring out its fluidity. The one problem to me is that the metaphor of the original film is missed. In the original film, the characters in the computer world all correlated to actions the computer takes, and each “person” is a program that is running within the server. While some concepts are brought up early on, like open source software, it doesn’t last long and turns to a generic science fiction plot. The Tron 2.0 video game that came out in 2003 was better representative of how computers worked and went into the concepts of how networking would work in the Tron world. 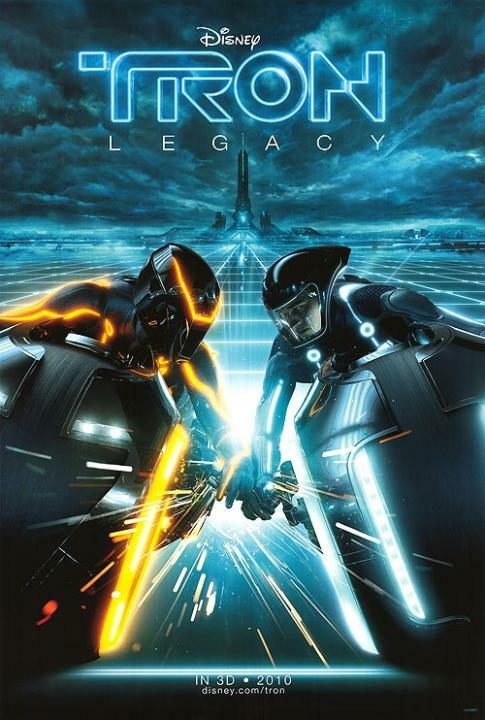 Tron: Legacy is a B movie, like its predecessor, but one that needs to be seen in the best possible theater to fully appreciate it. The movie is a true successor to the original, in plot, action and effects. Although many who see this film will not have seen the original (which was last released by Disney in 2002), hopefully this film will have a whole new impact and inspire the next generation of artists and luminaries.